If you’ve ever seen someone wearing something you love and tried to take a sneaky photo, or to describe it in Google in a hope of finding it, visual search is for you. At its heart it is the ability to use an image to find other similar products. 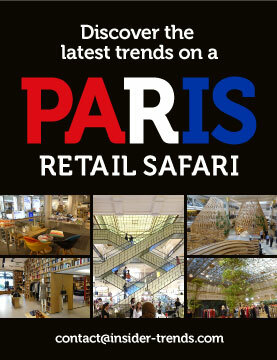 But in the hands of Syte it’s a way for retailers to connect their inventory to the trends and images their customers are looking at. And it’s not just about ecommerce. The company is pushing visual search into game changing new places. Can you tell us what Syte does in a nutshell? 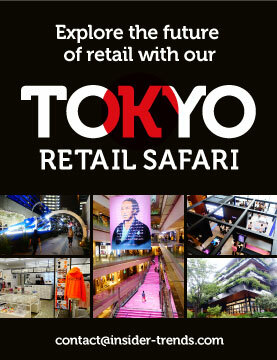 Syte is all about visual search for retail. We’re all used to searching by text – when we want to search for something we try to explain it in words. What we believe is that millennials, Gen Z and even Generation Y are all becoming very used to engaging with images. We get hundreds, even thousands, of images to our mobile every single day. It’s becoming almost intuitive for us to try to interact with what’s happening within the image. Have you ever seen a child go to a TV and try to swipe it with their finger? We believe that’s the world that we live in. We see an image and we expect to be able to engage with it. This is what prompted us to found Syte. We wanted to create a world where people could interact with images and videos and be able to find what they’re looking for based on an image without having to explain themselves at all. We want to be the bridge between the images on social media and the retailers inventory. We build visual search technology which is very accurate, automatic and scalable. On the back of this proprietary technology which we’ve been building for four years, we’ve built the range of products from a visual search camera button to an interactive mirror that can actually speak with the customer based on images. We believe in a comprehensive experience which is all based on visual search to improve findability, discoverability and searchability in e-commerce and also in-store. Do you have insights on the ROI that your systems have achieved for clients? At the end of the day if you have a great technology but it’s not making money then you’re in the wrong business. It’s all about making sure that not only is the experience of the customer much better, but it increases the amount of time they’re in your store or what they actually buy. One of those retailers that we worked with very closely has seen that visitors who engage with the ‘view similar’ function on the product detail page have a 100% higher conversion rate than those who do not, and the average order value is 12% higher. Pages per session are also over 135% higher. This is something that is very important for them. It’s not just that someone came to their e-commerce store and saw something and then bounced out because they couldn’t find what they’re looking for. It’s important for them to be able to show the customer, based on that specific dress, what else they have in their inventory that might interest them. Another customer saw conversion rate are over 85% higher and pages per session over 125% higher for shoppers who used visual search compared to visitors who didn’t. Which of your clients is integrating it in the most interesting ways? I think every retailer uses it in a slightly different way. It’s safe to say that retailers that are looking and investing into developing their e-commerce experience allocate more resources to this. If they show their users how to use different experiences, then the conversion is higher, and their users are more engaged. Having said that we also think that retailers with large inventory can benefit. We work with intu who have over 4 million products available every single day. If I’m searching for a red ruffle dress they probably have 200 of them and maybe the one that I actually like is hidden on page 17 and no-one gets to page 17. With visual search just by tapping on the dress I can see all the similar items. What are the most creative applications for your services? We worked on an omnichannel experience with Etam. We were already working with them on the website to add a camera button for customers to upload an image and get similar looking results from within their inventory. Etam came to us and said ‘we get lots of people coming to our bricks-and-mortar stores and asking the salesperson do you have something similar to this and then showing them an image on their mobile’. Now salespeople in-store are very busy, they have to be the cashier and they have to arrange the inventory within the store and they’re not always aware at any given time of all the opportunities of all the similar looking items that are actually available in-store when the customer is asking for it. So Etam said ‘why don’t we build a station in store and also have iPads at the checkout, so anyone who comes into store and wants something similar to something they’ve seen on Instagram for example, can share the image and instantly the iPad will show them everything that is similar’. Then they can buy it from the iPad or in-store itself as it will tell them if it’s available in-store. Another upcoming example from a significant retailer is a mirror you can connect with. You can stand in front of the mirror and it will analyse your outfit and on one side it will tell you all the similar looking items that they have in-store and on the other side it will tell you all the complementary garments to go with it. It’s all based on the fact that with our API they can take the image and break it to its components and find everything that is similar within their inventory. The next step would be for you as a user to send an image to that mirror and see everything similar within the store. Then of course using technologies from other companies the mirror will let you can share it with your friends and social media. Another product of ours came out of an idea from Marks and Spencer who are customers of ours. It’s called Instasearch. When you go to a product detail page on the website, say for example a yellow top, at the bottom we create a shuffle of all the influencers on Instagram that are wearing that specific top and similar ones. When you find the outfit of your dreams you click on it and then you get options to buy similar items to everything in the image from pants to earrings. It creates a greater bond between you and the top. It really elevates it the value of the top for you. Also, with the image shuffle you can see all the different looks that you can create with that one yellow top. Do you have any thoughts on whether the store will exist in 10 years’ time? It’s time of change for retail. It’s not that long ago that it was just brick-and-mortar stores and now we’re getting more and more used to buying online. If you look at the companies that are growing like the Boohoo and ASOS’ of the world they are the online ones. We speak to retailers every day. They all ask themselves where this is going but at the end of the day there is something about the experience of going shopping that will never disappear. But the appearance will change. The shop today will not look like the shop of 10 years’ time. I think bricks-and-mortar will definitely stay, but it will change its behavior. You will see stores which are more about the experience of being in a store, feeling the fabric, showing it to your friends, enjoying the moment. It’s about having fun. It’s about the joy and not necessarily about the purchase itself. They know that in time more and more of the actual revenue will come from online. It’s inevitable. What is next for Syte? We have big dreams. I always say to new employees that a day at Syte is like a quarter at other companies. We now do visual search for fashion and home decor and we’re now expanding to other verticals within retail. We chose to start with fashion because fashion is the hardest. The dress that you’re wearing looks completely different when you’re sitting down, standing up, on the red carpet or in a catalogue image – the same dress looks completely different to the machine and it’s all about machine learning at the end of the day. But a table is always a table. It does the 360 degrees and the background is changing. So we thought if we can do it for fashion then we will be able to train the algorithm much quicker on anything else. Medium-term, within the next year, we’re going to focus a lot on making sure that every video that you watch will have the functionality to pause, visually search for what you want and then continue watching. Giving retailers the ability to do predictions based on the images that their users upload is also something in our roadmap that should be ready by the end of this quarter. In the future future, when I see a little girl and I love her dress and I want to get it for my daughter I should be able to just point it with my finger and the whole brand will pop up and I will see all the similar looking dresses and I will just pick and it will get delivered to my home. Which other uses of AI will have the biggest impact on retail? I strongly believe that voice will. Gartner selected Syte as a Cool Vendor in May this year and we spoke to them a lot because they speak with retailers on a regular basis and they have lots of insights that we can learn from. They say by 2020 retailers that will adopt visual and voice search will increase their revenue by 30%. Millennials want everything here and now, they don’t want to make too much effort and Gen Z take it to the extreme. Is the retail industry doing enough to embrace AI? Yes. I think retailers definitely are very keen and they’re aware. They know that they need to act on it. They’re very open to adopt. They are looking for ways to be innovative and they need instant fast solutions. This is how we grow in size as it’s easy for us to give them our API now and within 24 hours they have all the solutions. This is our growth engine. Are there other tech companies that you think are really pushing things forward? One is Zeekit, which lets you create an avatar of yourself so you can see how different looks will appear on your body. I think this is something very important because when we buy online we want to make sure that it will fit. There is so much more to it than just the price. Another is Optimove who are in the prediction business. I really like what they do. They look at the customer journey and they can predict what will be the user’s next step. Then you know what you need to do with them. For example, if you analyse a specific customer and you know that they buy at the beginning of the season there is no point in sending them emails about sale items because they are less interested. They do it in a very sophisticated way. They take all the customers and break them down into the features and then they do deep predictions based on their action and navigation within the ecommerce website. I think this is something I would definitely adopt if I were a retailer. Finally, there’s a new brand called BrandTotal and they say they let you ‘uncover your competition’s marketing strategy and get the better of them’. I’ve seen them in action and they’re very very cool. Who is pushing retail’s boundaries? 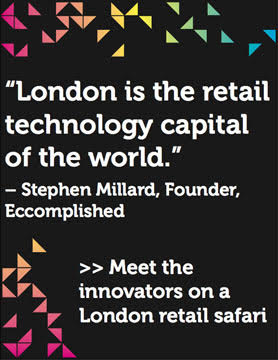 Find out in the world’s 50 most innovative retailers. 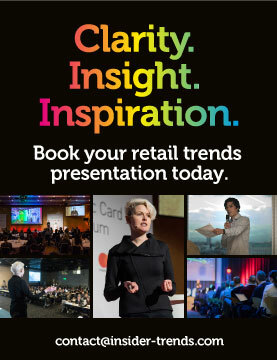 Want insider insights on the latest retail trends? 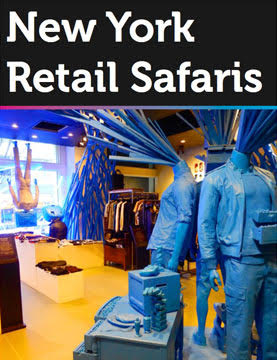 Get in touch to book one of our New York retail safaris and find out how to boost your business.